5k crit with SM / Ruin + trinket and buffed. Be sure to have Curse of Shadow afflicted on your target! This can vastly increase your Shadow Bolt Damage. This is only available through the listed Grimiore which drops off of bosses in AQ20. Once Burning Crusade is released, it can be trained at level 62. Shadowbolt is the bread and butter of warlock DPS, and this is where we gain most of our DPS from. Gaining shadow spell dmg gear will certainly help add to the damage that shadowbolt can do. Highest Shadow Bolt rank until "Shadow Bolt: Rank 12"
Nothing quite like a hot, steamy Shadow Bolt (Rank 11) crit for 2500 on a Pally right before he bubbles. For best Bolt results try the build 40/0/21 to get shadowburn and +100% to crit in Destro tree. It's devastating with DoT's increasing shadow damage, plus "The Burn" as well as nightfall to deliver up to 4-5k in an instant. This is as good as it get's for a 'Lock tryin' to make a living. Shadow Bolt crits are fun, they ramp up my DoT's dps. While Ruin does give more burst, UA does more dps until the Tier 5 gear level and makes people think twice about trying to dispel your DoTs. For best results, try 41/0/20 or simliar build. Actually, the only thing that consumes the ticks on the buff are non-periodic damage, such as shadow bolt or mind blast. Thusly all periodic shadow damage is increased untill the buff is expired. Sorry I cant directly quote the thread that stated this but it was by a blue poster on the community forums. Any shadow non-DoT damage will eat up a charge of imp SB, like shadow wands and the Succubus's Lash. This spell got a new animation in 2.1. DeebsSWC, sure Ruin is a really nice talent, but i'd never trade it for Unstable Affliction when you first go 40 points into Affliction. Thats for both PvE and PvP. In PvE, your shadow bolt crit bonus from ruin will never match up to the damage UA gives, and in PvP UA stops priests and paladins from dispelling all your (and a shadowpriests) dots. As for the best Shadow Bolt results, 0/21/40 is alot better then your 40/0/21 build. lordoferror, any direct damage shadow spell consumes a buff. That goes for shadow wands as well. That is somewhat misleading. The % of crit you would need must factor in your spell damage and +hit as well. In order for 25-30% crit to match UA you would need a substantial amount of spell damage as well. I tried to find a build that would give me the most damage from my shadowbolts. The 2 main talents that affect this are shadow mastery and Shadow and flame, here is the maths comparing the effects of the 2 different talents (Note I have not included the 15% extra shadow damage that u could get if u got Demonic Sacrifice and saced your Succubus for flexibility sake, not everyone wants to sac their pet). Basically both have ruin, bane and improved shadowbolt. there are 3 cases relating to Shadow Mastery either (Case 1) it adds 10% damage after spell damage or (Case 2) it adds 10% to the spell coefficient, this is according to http://www.wowwiki.com/Shadow_Bolt "Shadow and Flame and Shadow Mastery will increase the amount of shadow spell damage that applies to the spell by 20% and 10% respectively at max rank." or case 3 the 10% extra spell damage is applied before spell damage is added, i think this is the least likely case and have not included it. On the top row we can see damage dealt by rank 11 shadowbolt with Shadow Mastery. On the second row we can see damage dealt by rank 11 shadowbolt with Shadow and Flame. As we can see, in both cases, Shadow and Flame will yield better damage than Shadow Mastery(also note this is purly for shadowbolts and does not include damage delt by corruption etc). Any caster in PvE will want a substantial amount of spell hit, spell dmg, and spell crit (even Affliction) in the first place. The real issue with Unstable Affliction is the length of the fight. If the target does not last the full duration, then a Ruin enhanced Shadow Bolt crit will do more damage. On extended fights, however, Unstable Affliction will do more damage because if the caster runs out of mana while the spell is still ticking, it doesn't stop dealing damage. As stated above 0/21/40 is the best spec to use for maximum Shadowbolt power and it also hapens to be the best end-game dps spec for warlocks altogether outdpsing afflic and every other class at the current stage of WoW. As PoTz calcualted SM is old news for destruction warlocks looking to max their shadowbolts since they now have Shadow and Flame. - Summon a succubus and then sacrifice it for the 15% increased Shadow Damage. - Cast Shadowbolt over and over and over. - Cast Lifetap when mana gets low. With high crit chance at around 30% you will keep Improved SB up a good deal in the fight giving you an additional 20% on all incoming shadow damage (you and other locks/spriests) incuding DoTs making a good raid synergy. High +shadow damage is also very needed. Getting yourself hit caped asap (16% +hit) if you plan on going a lot of 25mans as this will ensure that almost all of your SBs will hit the target. Otherwise it will waste the time and the mana on continued resist in the fight resulting in a loss of dps. Also keep in mind that most high-end gear now adds spellhaste. Spellhaste doesn't affect DoTs, making the 0/21/40 shadowbolt spam specc the only viable high dps specc. Without talents, Shadow Bolt gains an additional 85.7% of your Spell Damage bonuses. At first say around rank 3 ShadowBolt you would be better off using a decent wand. rank 3 does 52-61 in 2.8secs of cast time at a cost of 70mana where as my wand does 10-19 at 1.4secs and is free to use. its roughly half the damage but keeps you from using water every 3 pulls which for me is important. all the details are the same but the yards, warlocks have 30 yards, and these npcs can cast at 40 yards. Feel free to downrate, but in the current arena climate (S6, Melee zerg, cleave, Lock's weakest season) this Rank 1 shadowbolt can be used to keep Shadow Embrace debuff up. Which is helpful against the FoTM Druid/X setup. Unless you can hax0rs Nightfall procs, this will often be your last resort. Quickest cast time to upload the debuff. Please feel free to correct me if I'm wrong, I'm gladly edit this. White dmg wise is not as hard as the Shadow Bolt but it's crit factor when spec destruction is simply amazing. Make sure immolate is on -> Fire and Brimstone + Firestone + Flame and Shadow + Emberstorm + glyph of Incinerate with 5% extra dmg simply owns if you have a high crit chance. Additions: These are add-ons that Shadow bolt and Incinerate have since they are destruction spells. By far not the strongest of the three but the 20% increase in DoT dmg + life reg. after 12sec is more then worth the talent points. Bad point of view is that there is a cooldown on it, therefore, makes it a little hard to spec completely Affliction. Also Haunt has the fastest casting time from all of them. If you have 30 or more points in destruction you should have Emberstorm and spam Incinerate. Otherwise you should spam shadow bolt. Even if you're specced heavily (51+ points) into affliction or demonology, shadow bolt is one of your main damage abilities (for group PvE content, at least). No matter what your affliction/demo spec is, you can afford the destruction talents Improved Shadow Bolt, Bane, and Ruin. These are some of the best dps talents available to warlocks and almost all PvE specs will have at least two of those talents. This spell has a quite long casting time for medium damage, and isn't that good compared to mage's bolts, but since it's the only attack you have at low level, you'll have to deal with it. Everything about Kulzseza's statement is... sooo wrong. Don't cast Haunt when it comes off CD, you say? I take it you've found a way to cast haunt when it's still on CD then. In reality, Haunt is more-or-less a shadow bolt that casts twice as fast, causes all of your affliction damage to increase by 20%, procs Shadow Embrace, and heals you for a large amount. In PvP especially, one would ALWAYS want to cast a 1.5 second Haunt, Unstabble Affliction, or Fear over a 3.0 second shadow bolt. The only time one should cast shadow bolt over Haunt as affliction in PvP is when SB becomes instant-cast due to a Nightfall-like proc. Used to be our staple Destruction spell, now Blizz has turned it into nothing more than a cast once for debuff and re-apply to keep the debuff for Destro Locks, and a mediocre filler spell for Aff/Demo Locks. 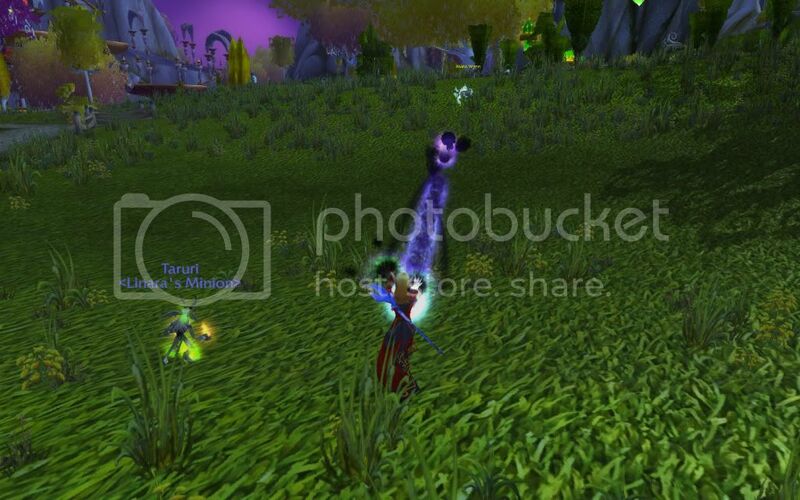 I really wish they'd buff this and not Incinerate, we're Shadow/Fire/Demon casters, not Fire Mages! So wich spell is best fore Demo locks?, is it shadow bolt or ist it incinerate?, incinerate alows youto put 3 points in affliction but cost moore water then shadowbolt, but incinerate is casted faster then Sb. Seems like incinerate is best to spam as demo and destruction. But affliction ofc it's better to spam shadowbolt. Look at the screenshots, and tell me those skulls all don't look super happy. I mean, even though grinning is one of the few things skulls do correctly, these shadowbolts are like ":D"
Oh, and Soulburn+Seed of Corruption(Talented) + Glyph of Corruption + Nightfall = Shadowbolt Machine Gun. Affliction warlocks be aware that mastery will not increase the damage of this spell at all, so think twice when choosing your gear. Edit: Down rating my comment means that you clearly haven't read your affliction mastery description (only dots get bonuses from it). Slated to receive a new spell effect (animation) in 4.3. In MoP this will only be the filler for Demonology Locks. After lvl 42, Affliction Locks will use Malefic Grasp or Drain Soul, both if which are channeled spells, as their fillers instead. Of course, Destruction Locks still use Incinerate, and will get it at Lvl 10! As Demonology's filler while in caster form, it's pretty slow and weak compared to other classes' cast-time fillers (Fireball/ Frost Bolt/Arcane Blast, Lightning Bolt, Wrath/Starfire) because it has to be balanced against the damage done by Touch of Chaos, its Metamorphosis counter-part. It's perfectly adequate in PvE when you can stand still and not worry about interrupts, but rather hard to work with in PvP because of its long cast time. In PvP you will tend to use Fel Flame as your filler instead, which means Demonology's Caster Form has rather low pressure; again, balanced against its rather dramatic on demand burst potential (although demo's increased pet damage, and its ability to stack several procs of the Molten Core buff and use them to cast hasted Soul Fires while in caster form, together mitigate this problem to some extent). Compare this to Affliction Locks which have superior pressure and inferior burst compared to Demo. for Affliction Hexenmeister, Malefic Grasp replaces Schattenblitz. for Destruction Hexenmeister, Incinerate replaces Schattenblitz. Will Shadow Bolt be available to Affliction in Legion? Since we lose Malefic Grasp, wondering if this will remain a part of our arsenal. It would make sense if Incinerate replaces Shadow Bolt for Destruction, as it has for a while... though I don't see it stated anywhere (nor was it stated in the past, though). Schleudert einen Schattenblitz auf den Gegner, der (34.5% of Spell power) Schattenschaden verursacht.